How Do I Become an HVAC Technician? Looking for a satisfying career path? If you enjoy working on construction sites, repairing machinery, and applying science to practical projects, then heating, ventilation, and air conditioning (HVAC) could be the right field for you. HVAC technicians help keep buildings comfortable and safe through the movement of air. They also play a role in providing refrigerated environments for foodservice, laboratories, and even industrial installations. Because HVAC is so important to construction, demand for technicians in the field is steady. According to the U.S. Bureau of Labor Statistics, job openings for HVAC technicians should rise by 15 percent (up to 48,800 new jobs) over the next eight years. That’s more than twice as fast as the overall job growth rate of 7 percent for the entire economy. As of May 2017, the entry-level salary for HVAC technicians was $29,120, while the median annual salary was $47,080. As with many other construction-related careers, HVAC offers plenty of opportunities for advancement as you gain experience and responsibility. To enroll in an HVAC diploma program, you’ll need to be a high school graduate or have completed a GED. Look for training that combines hands-on, supervised practice in a lab as well as classroom instruction from experienced HVAC and construction professionals. After you’ve graduated, you may be able to begin working as an apprentice under a licensed HVAC professional right away. In some states, you may need to qualify for licensure first. Your chosen institution should be able to give you guidance about the steps to follow for your state. While not every state requires HVAC licensure before you can start working, there is one national-level certification you must consider if you want to work in the field. If you are going to work with refrigerants, you must obtain Section 608 Certification from the Environmental Protection Agency (EPA). This is because the chemicals and substances involved with refrigeration require careful handling and disposal. At Altierus, we include preparation for the Section 608 Certification examination and testing fees as part of your tuition. Most, but not all, states require licensure for HVAC technicians. 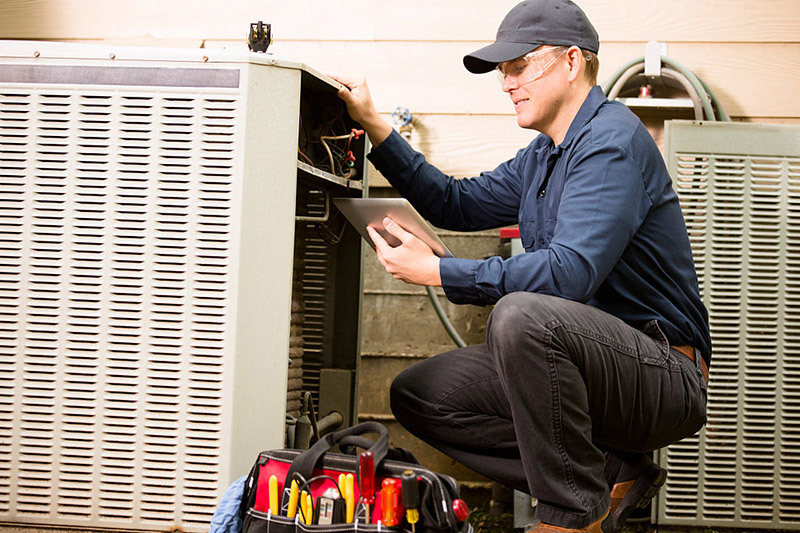 To apply for a license, you will generally have to complete a certain number of hours of education plus on-the-job training supervised by a licensed HVAC contractor. Then, you’ll need to take and pass your state’s licensure exam. Even if you don’t live in a state that requires licensure, you may need local licensure from a city or county to work. Check with your state and city so you know you’ll have the qualifications employers are looking for. It’s important to note that even if certification is optional in your area, employers may prefer candidates who have it. Investing in certification could be a great choice for building your HVAC career. Note: All job opening and salary data comes from nationwide projections and surveys provided by the U.S. Department of Labor. Local job markets may vary.